Advanced Dental was established in 2003. Its aim is to make its customer's visit as relaxing as possible while providing the utmost care and attention. 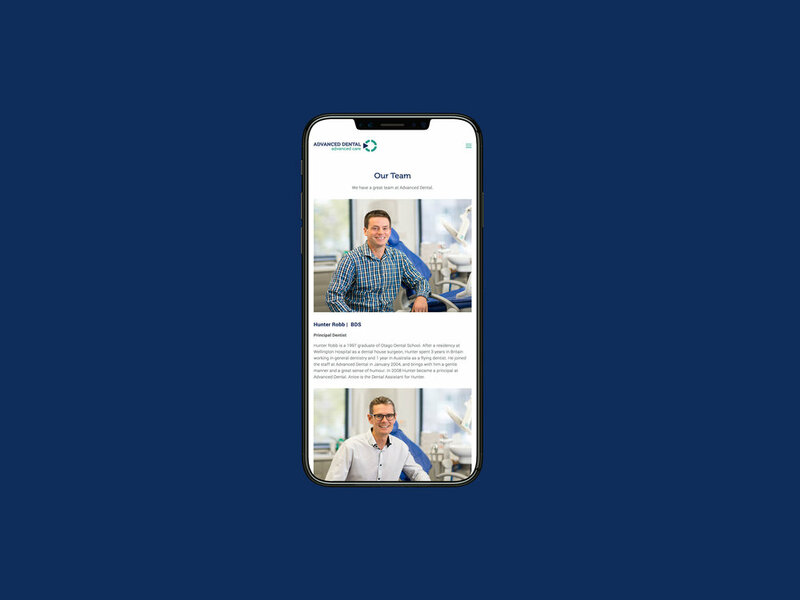 Advanced Dental came to UpShift needing to replace its old website with a modern responsive site that better-reflected the practice after a restructure. We designed and built the new site on the Squarespace platform, which is ideal for this kind of application. As well as the website Advanced Dental required new content, so we created a photo brief and arranged for a selection of quality images to be captured. We also took the opportunity to give the existing logo a re-fresh, using modern fonts and re-drawing the icon to better represent the precision of Advanced Dental’s work.